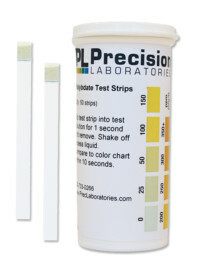 Our Cobalt Chloride test paper detects the presence of moisture. This test paper is useful in difficult to reach places and recesses. 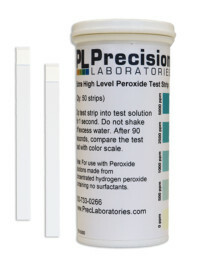 Cobalt chloride test paper is responsive to 50% relative humidity and above, and any direct measure of an aqueous solution. 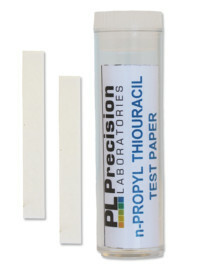 Cobalt Chloride test paper is also available in 8” x 10” (200x250mm) sheets (or larger sizes if special-ordered). Larger sheets allow for identification of spray or leak patterns when left in enclosed spaces. Please call for details on special orders as minimum quantities do apply. 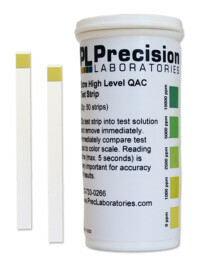 Place the test strip or sheet near recesses or areas where there may be cracks/leaks. 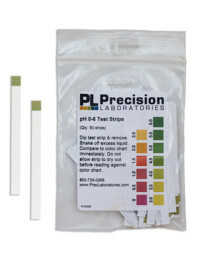 If moisture is present, the test paper will turn from blue to a light pink/white color. 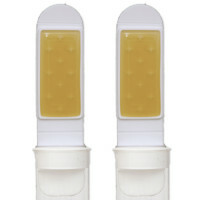 NOTE: Be sure to keep the strips sealed tightly in the vial, as exposure to 55 percent relative humidity or greater is sufficient enough to cause a slow color change. In addition, if the sheets are heated or the surrounding air dries, the paper will change back to its original blue color.